As seen in the trailer above, PlayerUnknown’s Battlegrounds is crossing over with Horizon Zero Dawn. 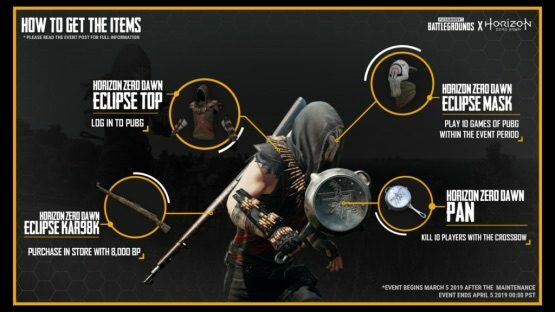 Starting March 5, 2019, PUBG players on the PlayStation 4 will be able to access four Horizon-themed outfits and weapons skins. They won’t necessarily come easy, however. The only way to obtain this content is by performing a series of tasks, which must be completed by 12:oo am PT on April 5th for the items to unlock. When we first spoke with the development team of PlayerUnknown’s Battlegrounds about adding Horizon Zero Dawn themed items, we instantly thought of the Eclipse. This secretive and militaristic cult fits perfectly in the PUBG universe; its members dress in intimidating ceremonial garb, intended to strike fear into the hearts of all who dare oppose them. Their warlike nature is displayed by their use of ejected bullet casings from ancient war machines, which they work into rosaries and other ornamental motifs, as well as their masks, which they use to hide their identities. A list of the break down has also been provided, which includes a few bits of additional information. HZD Pan can be claimed by getting 10 kills with the crossbow during the event period. Items will be distributed every Monday (12 am PST) and Thursday (12 am PST) until April. Players who already have the ‘Shoot the Knee’ trophy can still receive the skin. The event target is independent from ‘Shoot the Knee’ trophy progress. Even if you already have the trophy or have made progress on the crossbow kills needed towards completing the trophy, only the kills you get with the crossbow during this event period will count. A team kill does not count as a kill. Please be aware that intentional team killing is subject to account suspension. Killing a downed enemy with a crossbow counts as a kill for this event. PUBG x Horizon Zero Dawn isn’t the first time the battle royale title has offered PlayStation-centric content. For example, those who preordered the game on PlayStation 4 were awarded with exclusive items specific to Uncharted and The Last of Us. 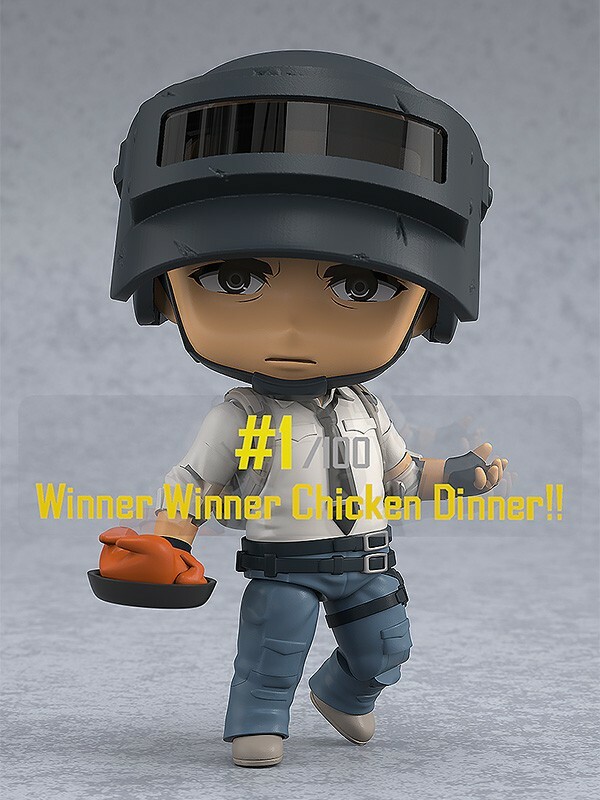 This announcement comes on the heels of a PUBG and Resident Evil crossover, which is currently exclusive to PUBG’s mobile release. If and when this particular melding of franchises will come to consoles and PC remains to be seen.